Canine arthritis is a debilitating condition which affects dogs of all sizes and ages. Preventing canine arthritis. 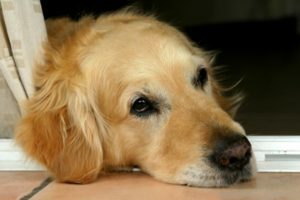 While the geriatric population is affected more frequently than younger dogs, canine arthritis can begin at a surprisingly young age. As canine arthritis progresses, the management of decreased mobility and pain becomes increasingly more important and the success or failure of that management can become a matter of life and death. This article will present several strategies which can help ward off arthritis and reward you and your four-legged friends with long, healthy, active lives to enjoy deep into their geriatric years. Exercise is a key ingredient for any dog’s health. When it comes to joint health, exercise should always be done on a soft surface such as grass or paths, or when inside on mats or padded floors. as a comparison, concrete is 14,000 times harder than rubber, 600 times harder than clay, and 140 times harder than crushed gravel. Concrete is the same hardness as asphalt at 32 degrees or less, but is 10.5 time harder than asphalt at 60 degrees because asphalt’s hardness varies with temperature. Not only is the surface that exercise is performed on important, but the amount and types of exercise are equally important for several reasons. A moderate amount of exercise is essential to supply nutrition to the joint surfaces because joint surfaces do not have a blood flow. The cartilage absorbs nutrition from the synovial fluid in the joint and the joint must be repeatedly moving for the fluid to be absorbed into the cartilage and provide the needed nutrients of joint health. So, unknown to many, arthritic changes can begin taking place because of too little activity and lack of nutrition to keep the joint surfaces adequately hydrated and performing normally. On the other hand, exercise with excessive joint compressions, weather those compressions come from excessive jumping, landing, stopping, twisting, or pulling large loads, can cause damage to the cartilage and joint surfaces, causing arthritic changed. In this modern competitive world of “more is better”, many canines suffer early canine arthritic changes from excessive training and exercise. Excessive exercise can cause damaging changes on several levers. When a dog gets fatigued, the muscles can no longer support the proper alignment of the joints. When the muscles get fatigued, tight and possibly sore, the joints stop moving normally and efficiently. This fatigue and soreness from over-training can cause muscle guarding and an interruption in normal movement patterns. If this becomes a chronic condition, abnormal movement patterns inevitably cause consistent incongruent joint movement and wear and tear of the joint surfaces. Strengthening the muscles around a dog’s joint without over-exercising is important in preventing early-onset arthritic changes. Strong muscles guide joints through their natural paths of motion more efficiently than weak muscles. Muscle support around joint is actually the primary defense in preventing abnormal joint motion. As you can see, moderation of exercise–finding someplace between no exercise and over-exercise — is ideal for all dog breeds if done on a forgiving surfaces. The repetitive movement of excising provides nutrition to the joint surfaces and strengthens the muscles to help guide normal motion. The final strategy for preventing premature arthritis is the management of injuries if they should occur. Injury is another common pathway that can lead to arthritic changes in joints. If a joint becomes unstable due to injury,the joint will perform with excessive gliding forces and cause damaging changes to the cartilage and joint surfaces. 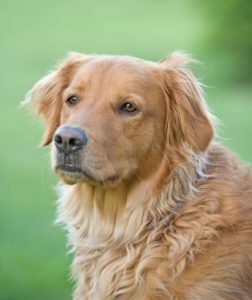 The dog’s body then produces additional scar tissue and boney tissue to support the joint and may cause further joint dysfunction,inflammation, pain and early arthritic changes. The first important treatment is to stabilize the injured joint as soon as possible so that near-normal joint mechanics slow the arthritic process in the effected joint. The second important thing is to realize is that injury to the joint, or any other tissue, does not only elicit a localized response in your dog. A dog with a painful joint, tendon, muscle or bone, will invariably change his entire body’s movement patterns in order to avoid recurring pain. These changes in movement patterns do not necessarily normalize again when the pain is relieved. Faulty movement patterns can continue indefinitely after injury and cause changes in joint movement, and therefore canine arthritis, anywhere in the body. However, possibly not so obviously, you can easily gain the assistance of a canine physical therapist who is able to not only rehabilitate the area of injury, but also re-teach normal movement patterns in the entire body so that normal function in all the body can be restored and early-onset osteoarthritis can be avoided.